Buckle up with rhinestone buckles draped across your toes in this two tone custom deigned shoe. Matching or contrasting straps crisscross your foot for great support as you dance across the floor. 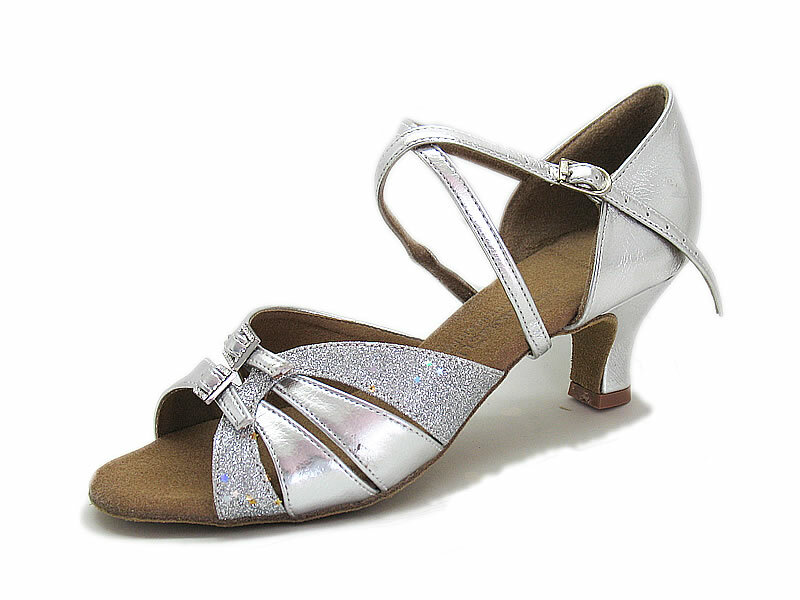 Picture shoes in Silver Man-made Leather (G3) + Fine silver sparkles(F18) with 2 3/16" heel.